Over 30 videos covering safety, class management, tool usage, and many projects. Using only hand tools and portable woodworking stations, your campers can develop powerful life skills such as grit, confidence in their hands, safety, and even community. Train your staff on how to teach safety, manage classes, and create several projects for ages 6-16. Each project video has detailed printable instructions. Hosted by Mike Schloff, founder of Maplewoodshop. Includes 10 learner accounts. 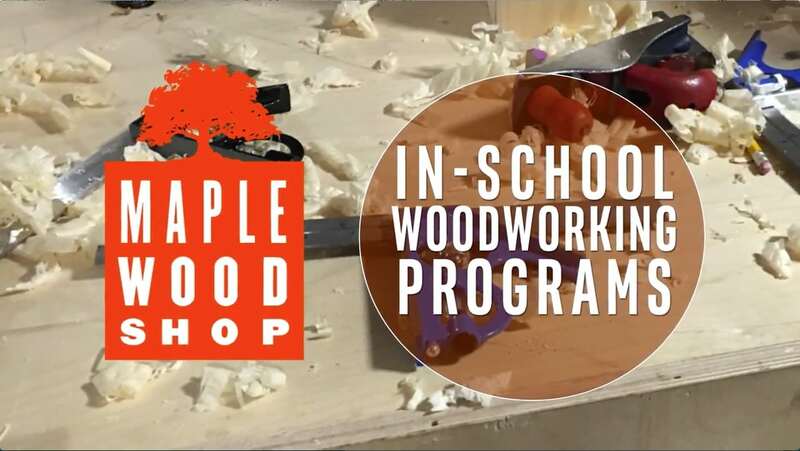 Each Maplewoodshop subscription includes 10 learner accounts for your staff. Proven Effectiveness. Deliver 21st Century Skills via portable woodworking for schools, camps and maker spaces using your existing staff, tables, and rooms using our portable woodworking solution. Teacher Training. Working in close collaboration with educators, we offer schools a unique approach to key curricula and give students the opportunity to build 21st century skills like critical thinking, problem solving, creativity, and collaboration. Woodworking is the original STEM! We equip you with the tools and the skills to implement your own woodworking program bringing it back to school. Lifetime Skills. Give campers skills for a lifetime using your current staff, tables, and rooms. Campers can make projects based on several themes and can even incorporate the history of crafts in American society, biology of trees, geometry and ratios, physics of grain direction and joinery. Campers enjoy 100% hands on participation, mental presence, integration across subjects, and the ability to take home lasting reminders. Easy Enrollment. Send staff your account’s unique invitation link and all they have to do is click, enroll, and enjoy. Director Bonus #1: From your dashboard, you can view a real-time list of which staff have participated in the Maplewoodshop program. Includes 100 staff accounts. EOT subscribers will not have to pay per learner account. All staff members will receive a learner account. Subscribe: We are an EOT camp. Subscribe: We do not use EOT yet.